As it turns out, this was the perfect strategy for Casarez. Shortly after standing on the median strip, a passerby took a photo of the man and his cardboard sign and uploaded it to Twitter, where it quickly went viral. 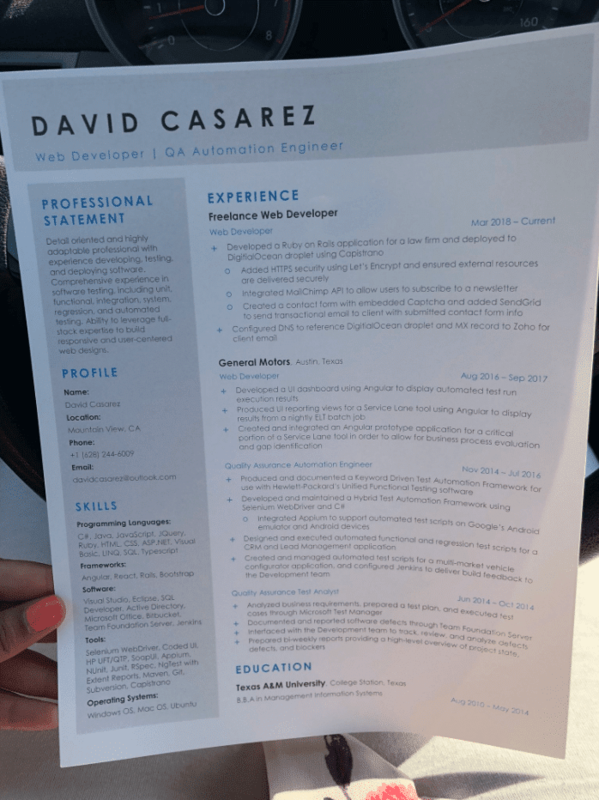 By Sunday afternoon, Casarez received more than 200 job offers which included Google, Pandora, and Bitcoin. Casarez graduated from Texas A&M Univesity with a bachelors in management information systems, and shortly after landed a web development job with General Motors in Austin, Texas. Casarez then cashed out his 401-K and headed to Silicon Valley where he had hoped to create his own tech startup, but sadly ran out of funds in June. In June his van was repossessed, and was sleeping in the park ever since. He said he dressed in his best clothes on Friday and headed out to the highway to look for jobs in a different way. 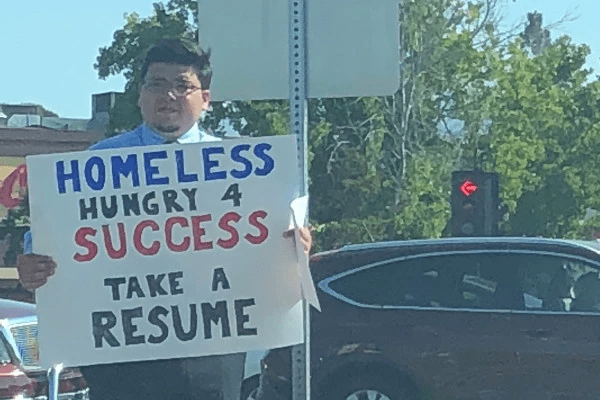 After standing with his sign and a stack of resumes for a few hours, Casarez was approached by Jasmine Scofield who asked if she could take a photo of his sign and post it to Twitter. In just two days the post has been retweeted more than 131,000 times and has more than 210,000 likes.